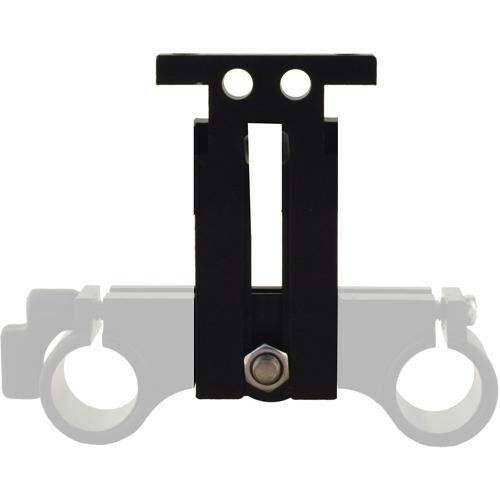 The Cavision RST2560 is the part at the end of the support rod that resemples a T and is used for attaching a matte box. The RST2560 will hold a matte box 25mm wide by 60mm high. Box Dimensions (LxWxH) 4.9 x 3.0 x 0.5"
RST2560 T-Part for Matte Box 25x60mm is rated 4.0 out of 5 by 1. Rated 4 out of 5 by Alva from T-Part for 3x3 Cavision Matte Box The 60mm is slightly longer than the included 50mm t-part. Cavision makes a 80mm t-part that is only available on their website. Too bad, the 80mm offers more adjustment range.